We’d like to thank LessonFace for sponsoring this post. You can check out their upcoming masterclass with Katie Bull here. Our voices are the one musical instrument we are born with, and while it can be argued that not everyone “should” sing, there’s no reason that we all can’t sing. It’s only a matter of tapping into what we’ve been given and making the most of that resource. “But I can’t sing!” you say. 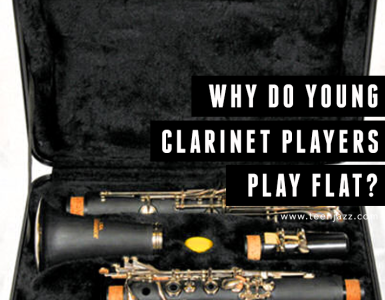 Did you know that this sense of inability, of creating this sort of exclusion, the idea that music performance is reserved for an “elite” collection of musicians who have spent the time honing their craft, is a very Western (and even relatively recent) idea. There are many cultures around the world and in history that see music as a community activity where everyone participates and enjoys performing in some way regardless of skill. In preparation for her upcoming masterclass with Jay Clayton, LessonFace recently interviewed vocalist Katie Bull on her methods and thoughts surrounding singing, and more specifically, that of being a jazz singer. The upcoming seminar, Jazz voice, features Bull’s thoughts on the African proverb “If you can talk, you can sing” and how you can use this philosophy as a pathway to develop your own vocal abilities. We read the recent interview and think there are several interesting things to take away from it, so we wanted to share them with you. It’s often thought that we are born with our voices the way they are, they can’t be changed. While there is some truth to this, there are things about how we use our voices that can be changed. When we first start singing, there can be certain aspects of it that are more difficult than others (like bridges) and when we’re not sure how to work through them, it can seem impossible to improve in those areas. Thankfully these things are often developed through habits and the tendencies we may have when using our voices. This means that with direction and some work, singing through them and working them out is possible. Good singing is so much more than having a pleasant sounding voice. It’s about the way we use our voices. Maybe you don’t have the largest range, but it’s what you do with the range you have. It’s about how expressive, emotional, and authentic you are when you sing. 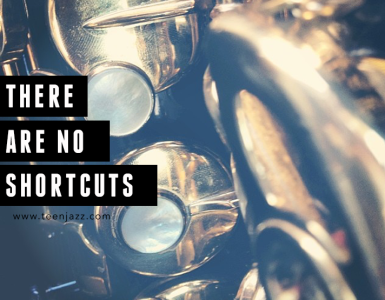 It may be impressive to have extensive technical abilities as either of vocalist or an instrumentalist, but in the long run, it’s the emotion and meaning behind your performances that will offer you the opportunity to succeed as a performer. A good mentor makes the learning experience all about you – they give you the tools you need to reflect and look inward to find what works for you and who you are as an artist. Finding someone who can give you the tools to succeed on your own is important and is so much more effective than working with someone who tells you to do things without ever giving you the opportunity to ever understand why. Pushing yourself too hard and the resulting illnesses can end your career if you aren’t careful. Maintain a good awareness of your health, your fatigue (both mentally and vocally), and understand your limits. Learn to take a break and step back when you need to; it will also help you avoid burnout. There you have it! If you’d like to read the interview, you can check it out here. Don’t forget to check out the upcoming masterclass with Katie Bull and Jay Clayton over at Lessonface on Wednesdays, July 23 to Aug 27, 2014 from 5-7pm EST. The classes are recorded, so if you can’t make the scheduled time, you can always watch them later. There’s still time to sign up, so don’t miss out! Katie Bull, critically acclaimed NYC-based jazz vocalist and vocal educator/mentor, took some time over the holiday weekend to answer some questions about her experience teaching vocal exploration and her approach to jazz mentorship, as a way of introducing and promoting her upcoming online jazz voice master class, that she’s teaching in conjunction with her own mentor, Jay Clayton.